Purchase race photos of you, your family and friends! Ceramic Coffee Mug with both the Maniac and Fanatic logos and the Double Agent figure. 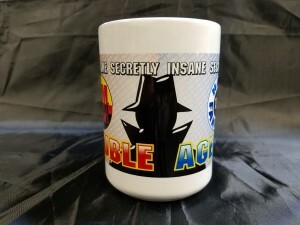 Double Agent and Secretly Insane wording printed on mug as well.